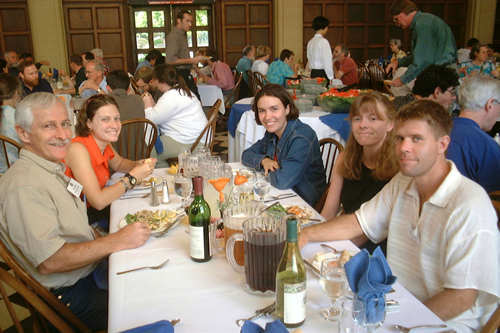 The Museum of Paleontology at UC Berkeley hosted NAPC 2001 for US, Canadian, and Mexican colleagues from June 26-July 1, 2001. 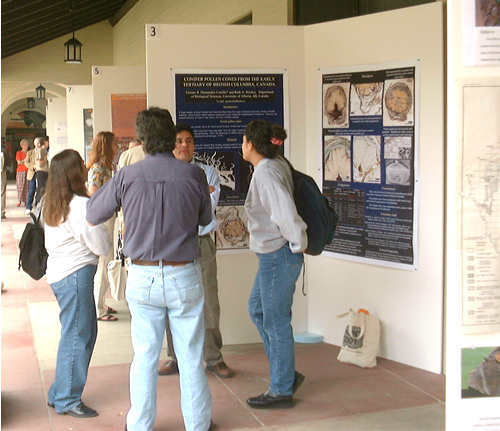 NAPC 2001 was the seventh meeting of the North American Paleontology Conference, continuing a tradition that began in 1969 at Chicago. Sponsored by the Association of North American Paleontological Societies (ANAPS), NAPC 2001 offered organized invited symposia and theme sessions, volunteered contributed papers, posters, workshops, field trips, a special session on preserving fossils from public lands, and tourist excursions. A conference schedule and abstracts are still available on the technical program pages. 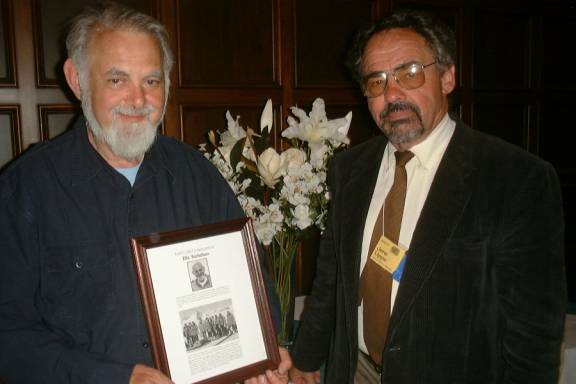 Ellis Yochelson (L), with a tear in his eye, accepted the dedication of NAPC to him from Jere Lipps (R). 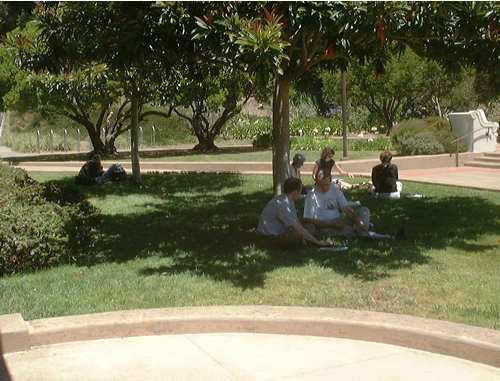 The National Science Foundation generously supplied funding for students and young professionals from the US, Mexico and eastern European countries. 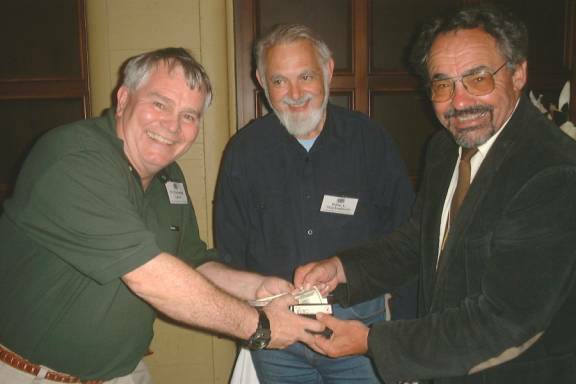 Jere Lipps (R) tried to collect from Geology and Paleontology Program Manager Rich Lane (L) while Ellis Yochelson encouraged the transaction! ...and enjoyed the fine cuisine. 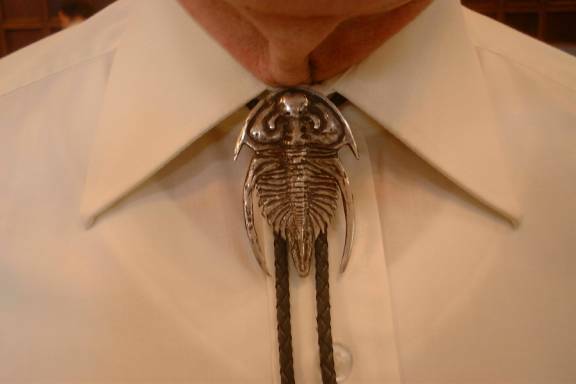 Pete Palmer donned proper paleontology attire for the occasion.